Keeping up with Landree: Matilda Jane Sale! Matilda Jane is a brand I haven't been familiar with for very long, but several blogger friends, who have little girls always look so cute in their Matilda Jane clothing. Then Bagel sent us our very own knot dress and we love it! They are having a sale on their website right now. MJ is normally sold at trunk shows, which is why I don't think I knew about it, but I'm so excited to add these things to Landree's closet and for such a great price!!! 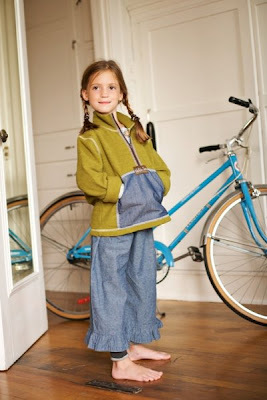 We got the tunic to go with the Heneritta pants below and the denim ruffel pants. Several of the things are already sold out so hurry if you're interested! Click here for the site. What a nice friend to send you an MJ knot dress. I know Landree will look adorable in it. 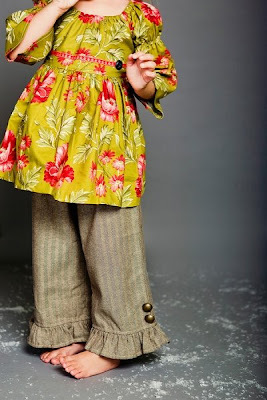 wow, cute things....I love Matilda Jane...can't wait to have some time to browse her things! You have been busy, your Christmas looked fantastic! Can't wait to hear about your photo workshop....your photos are already great....I love your style! Love Matilda Jane. Thanks for letting us know about the sale. 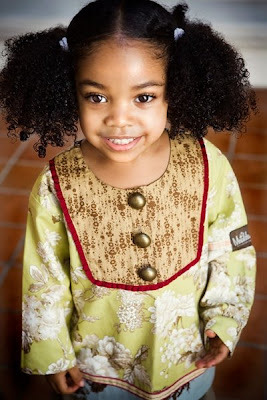 I just ordered my daughter a MJ knot dress.